In the U.S. alone, around 10,000 baby boomers turn 65 every day. With one in four workers in the United States set to be 55 or older as soon as 2024, CEOs and other C-Suite executives must begin to consider the implications an aging workforce has on a business, and the best next steps to overcome any challenges this change may deliver. Without the right preparations and future-forward strategies in place, organizations of all sizes will quickly begin to feel the impact of an aging workforce. To make the most of this demographic movement, utilize the following strategies to pave the way for organizational success and a workplace culture that thrives on diversity. What will happen to key positions in your company – and in turn, key departments – when current high-value leaders retire? Although it can prove to be a difficult obstacle to overcome, developing a well-rounded succession plan for critical positions in various departments and leadership roles to make sure you have the right personnel to take the wheel when the appropriate time comes. However, the benefits of succession planning span beyond knowing your business will move forward intact. Best-in-class succession plans and development allow you to provide peace of mind for both departing employees and current employees curious about their future at your organization. Effective succession planning demonstrates to high-potential employees their impact and place within an organization. Succession planning allows you to take a look at where your business is – and where you want it to go – in terms of diversity. Organizations can look at their overall gender balance and make appropriate changes to break the glass ceiling for women in leadership. Although the departure of key employees and leaders is difficult, organizations can rest assured that they have a qualified and interested candidate ready to step in. You can cultivate a workplace culture that promotes based on capabilities, skills, and interests, rather than simply based on professional qualifications and education. Learn the skills needed to effectively manage your multi-generational teams by downloading our complimentary ebook “Leading Teams”. In an aging workplace, there is likely a rift between workers of an older generation and their Millennial counterparts. Both groups may feel as though they are not understood by the other, which can carry a negative impact on organizational sustainability and success. However, when all employees and C-Suite leaders take time to understand the views, needs, and habits of different generations, new insights can be discovered and perspectives can be changed. In businesses around the world, generational bias is a very real threat to cultivating an inclusive culture in aging workforces. For many, having some facet of a general bias is inevitable, but true leaders and organizations are those who acknowledge these biases and move forward with the intention to overcome them. As a leader, it’s vital to take note of your own generational biases, and how these thoughts may translate into your team and business as a whole. By doing this, you’ll be able to better interact with others when discussing generational biases and start implementing meaningful change within yourself, first. At the core of overcoming bias is cultivating mutual respect between all employees, realizing that each and every individual brings their own experiences, talents, and skills to the table. For organizations looking to build valuable relationships and a diverse workplace, I suggest implementing a mentorship program between Millennials and experienced managers and leaders. A two-way mentorship between people from different generations allows both parties to learn about the other, enabling an understanding of each person’s position in the company while driving collaboration between generations. Of course, an aging workforce often carries implications including increased absenteeism in employees leads to a decrease in productivity in the organization overall, according to Personnel Today. Managing absenteeism is easier than you may think. Like many aspects of managing employees and teams, it’s up to the leaders to have the right perspective of the situation. Cultivating a flexible and diverse work environment allows leaders to make the most of the personnel resources that they have, with employees who feel safe and secure knowing that they can still do their job. For example, leaders can consider implementing remote working days for employees to work from home on an as-needed basis, or hire more part-time employees for an adequate work-life balance for employees of all ages. As your workforce ages, the expertise that your team carries expands. 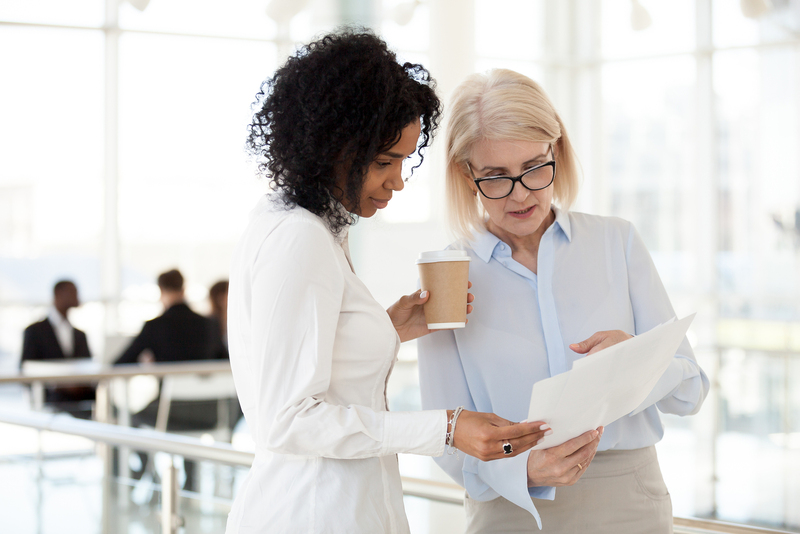 An aging team offers a wide breadth of experience and often have a solid understanding of how your business operates, from both a short and long-term perspective. Provide them with innovative methods to ease the burden of physical tasks. Redefine what “retirement” means in your workplace and offer job-sharing or the ability to move from full-time work to part-time work over time. As your company’s workforce continues to age, innovative succession plans can create the space needed to focus on finding, attracting, hiring, and retaining younger employees. As a generation looking for financial stability and a flexible work environment, young workers are drawn to organizations who want to provide a working experience that benefits everyone. Social media and a streamlined online presence can help increase your chances of being noticed by young high-potential job seekers, and cultivating a workplace that places emphasis on mental health and well-being both in and out of the office can help retain this young talent. Best-in-class workplaces are diverse and equitable for all employees. As the workforce continues to age, businesses in the US who have not properly planned for the challenges this change can bring will feel the effects of absenteeism and a lack of talent suited to replace high-value and C-Suite positions. However, for organizations who do choose to focus on succession planning and cultivating an innovative and inclusive multigenerational workplace, the results can leave you with an increasingly engaged and effective workforce. Take East Tenth Group’s Balanced Leadership™ Assessment today to identify the challenges that your current leadership style may present and the skills you can cultivate to overcome any professional obstacle. This year, I encourage both new and existing leaders to contact my team and I at East Tenth Group to uncover your leadership capabilities and drive your business forward.